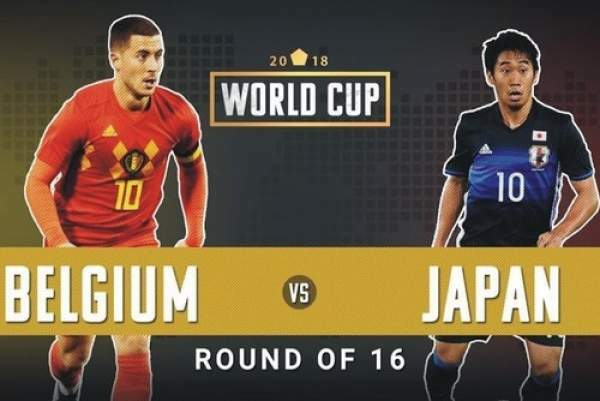 Watch Belgium vs Japan live streaming and FIFA world cup 2018 live score of day 19. This time the tournament has gotten interesting with every passing match. Belgium has shown its upper hand and dominance in the group. Belgium surpassed the rest of the three teams in the group and didn’t seem to face any big trouble. Now, in the Round of 16, the side will try to carry on the momentum and take on Japan. On the other hand, the Asian side has also shown some outstanding performance. With punching over its weight, Japan survived a tough group and qualified. However, it still needs to show some stellar football in order to raise their game level and register victory over Belgium. The FIFA fans witnessed some extraordinary performances. Belgium defeated Panama easily, had to do light work against Tunisia, and overhauled the team against England winning by 1-0. Japan and Senegal had the same number of points, goal difference, the head-to-head record. It won only due to picking up less yellow cards than Senegal. Besides the tournament, they both had played a friendly match in November 2017 in which Romelu Lukaku scored the only goal of the game. Belgium is the heavy favourite to win today’s match. The side is desperate enough to reach in the quarterfinals. The team is desperate as it lost in the FIFA World Cup 2014 Brazil and to Wales in Euro 2016. Today, the game is going to be played at Rostov Arena, Rostov-On-Don. You can catch the live updates on MAX HD3 tv channel. Also, it can be streamed live on beIN Sports Connect online. It will only be the third time in the history of the FIFA if Belgium manages to reach into the quarterfinals. Several top teams have crashed out of the tournament in last few days. So, it has opened up the draw for Roberto Martinez’s side. And one more win will highlight the side’s winning credentials. With Cristiano Ronaldo out of the tournament, Romelu Lukaku has got an opportunity for the golden boot. A couple of more goals from Lukaku would pressurize leading scorer Harry Kane.